This event is the final part of a 6-week camp for triathlon training for children between 10-18 years of age that I plan and organize in Richland, Michigan. This 2018 as in last year, the children are completing a triathlon for the first time ever. Distance of 200 swim/10 KM bike and 3KM run (Super Sprint). My daughter Chantal did it for the second year in a row and was 3rd in her age group. She really enjoyed it and so did I. The adults could do a Super Sprint (750 Swim/20KM Bike and 5K Run. 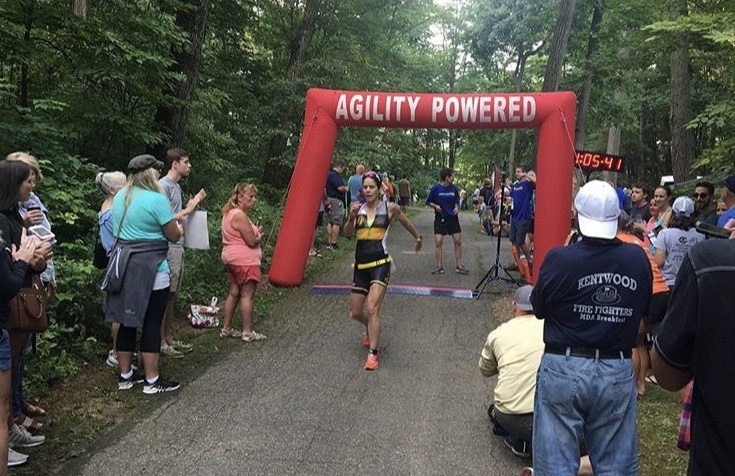 The swim was comfortable in a beautiful lake, the bike route was mostly flat while the run has a few hills, it’s a great event for the family with a great ambiance.